The Capitol View: Remembering Dr. Martin Luther King, Jr.
Today, let us all pause for a moment to express our gratitude to a man who contributed so much to our society. Though his life was tragically cut short, his dream lives on in all of us. We must never forget what Dr. King said in his most famous speech, "Now, I say to you today my friends, even though we face the difficulties of today and tomorrow, I still have a dream. It is a dream deeply rooted in the American dream. 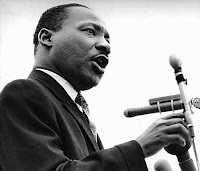 I have a dream that one day this nation will rise up and live out the true meaning of its creed: - we hold these truths to be self-evident, that all men are created equal."